Take Quartzsite (Hwy. 95) to the Circle K Store. Turn left (north) between Circle K and the Chevron Station and follow the signs approx. 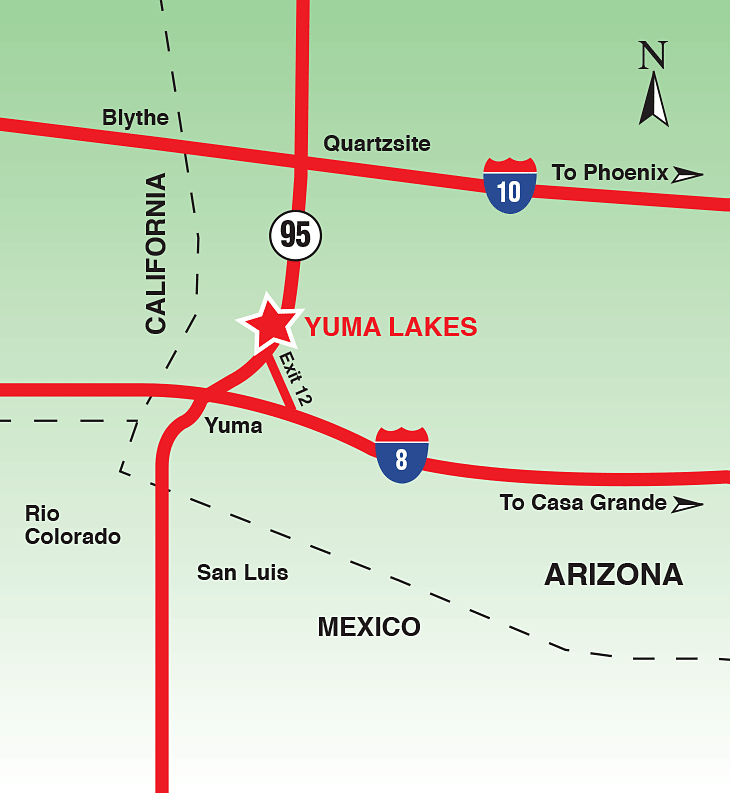 4 miles to Yuma Lakes resort.